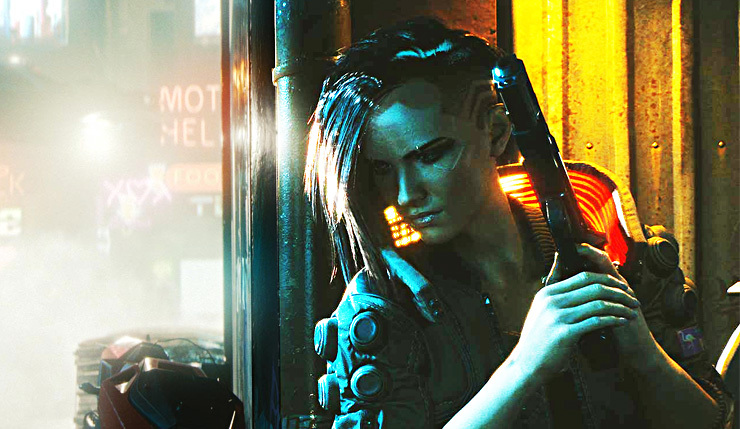 Audio files from the Cyberpunk 2077 E3 2018 demo have surfaced online and allows fans to listen to the game’s main protagonist alongside various NPCs. The closed-behind-doors E3 demo appears to have been quite amazing, and the leaked audio files give you an impression of its contents. These audio files weren’t recorded by us, nor did we upload them. You can listen to the first audio file here. To listen to the second recording, visit this link. The recordings not only include voices from V, the game’s main protagonist, and NPCs, but also include commentary from a CD Projekt Red spokesperson, who explains what’s happening in the demo. Cyberpunk 2077 will be releasing on PC, Xbox One and PlayStation 4. A release date hasn’t been officially announced.